Garden walkways and front entrances can be enhanced with colorful and long-lasting perennial flowers and evergreen shrubs. Along the curved lines of your walkway or entrance you can add colorful plants to help define the path and add visual interest. You can also include fragrant plants to enhance the sensory experience of your garden path or front walkway. Lavender is an evergreen plant with a floral scent that lights up a walkway with color and fragrance. The greenish gray leaves grow in an upright, mound-like shape. Lavender plants grow up to 2 feet high and 3 feet wide, ideal for creating an inviting path lined with stunning color and texture. Beginning in the summer, the flowers provide bursts of colors in lavender, white, purple and pink. 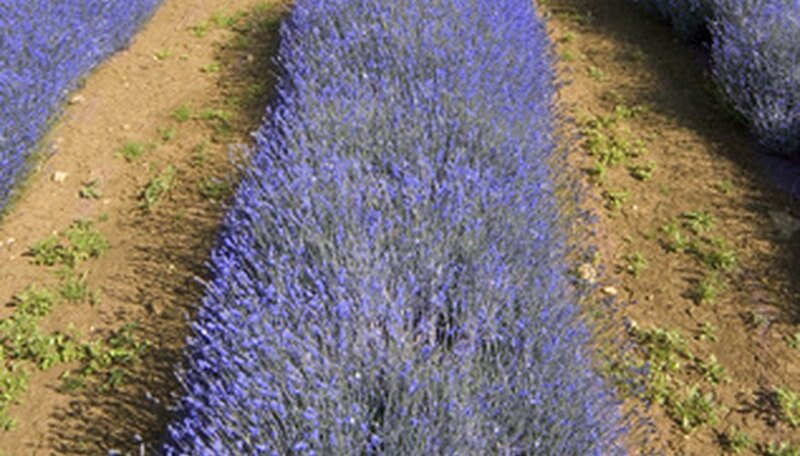 Lavender plants require full sun and and dry soils. These hardy plants are drought tolerant–ideal for dry climates. Another evergreen candidate to plant along your walkway is mondo grass–a ground cover with a moderate growth rate. Growing between 6 and 10 inches in height and in grass-like clumps, it is ideal for planting along a walkway. Mondo grass has fine texture and dark green leaves that contrast with stone, gravel and brick paths. In the summer, its lilac to white flowers emerge and light up the landscape. Mondo grass prefers full sun to shade, making for a versatile plant to grow along a front walkway or backyard path. The blanket flower is a low-growing summer blooming plant that adds brilliant color along a walkway. The daisy-like blooms range in colors from yellow and bronze to scarlet and red. The single or double flower bloom grows 3 to 4 inches wide. These perennial flowers have grayish green foliage that contrast with the brightly colored blooms. Blanket flowers grow 1 to 2 feet wide, ideal for hugging a walkway with color.